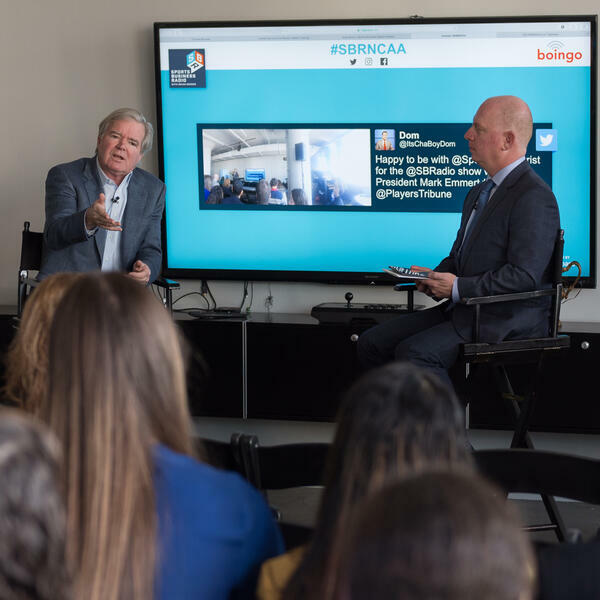 Sports Business Radio Road Show presented by Boingo with NCAA President Mark Emmert at The Players' Tribune in NYC on 12/7/17. The show was conducted in front of a studio audience made up of VIP's and students from Columbia University, Marist University and Montclair State University. Follow the social conversation with #SBRNCAA.